Started out with a base of Maybelline Antique Teal layered with Jindie Nails Baby Doll. 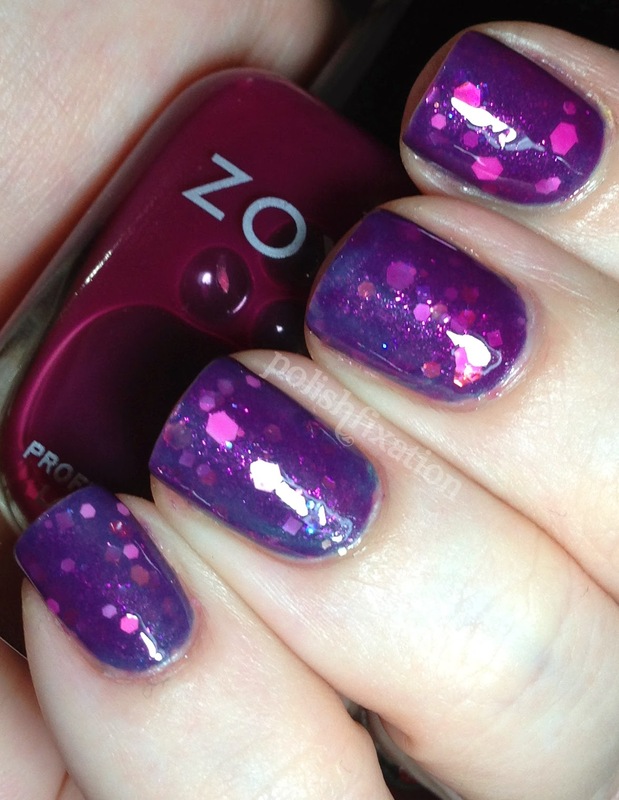 Decided I wasn't in the mood for teal nails and pulled out Zoya Paloma, a jelly. Layered it over everything for the end result pictured above.